Do you have doubts about what you can do with Educaplay or how do you do what you need? We present the new Support Center. 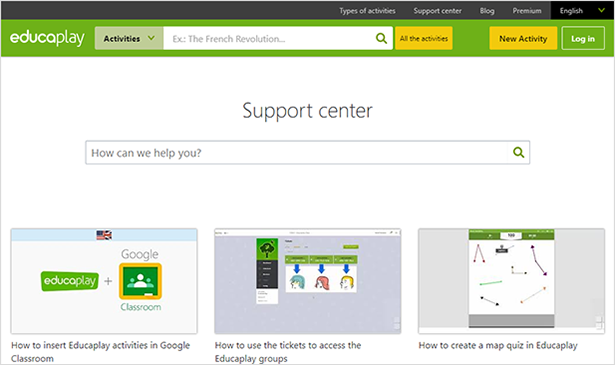 In the support center you will find video tutorials that will explain step by step how to get the most out of Educaplay. We will publish videos that cover all kinds of topics so, if at any time you have a question, do not forget to visit the support center. New language available for activities: Czech.